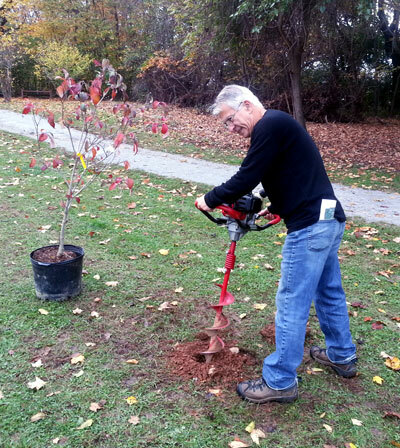 On October 22, 2013 the Shepherdstown Community Club, along with students and staff from Shepherdstown Middle School, planted 24 flowering trees at Morgan’s Grove Park in Shepherdstown, WV. 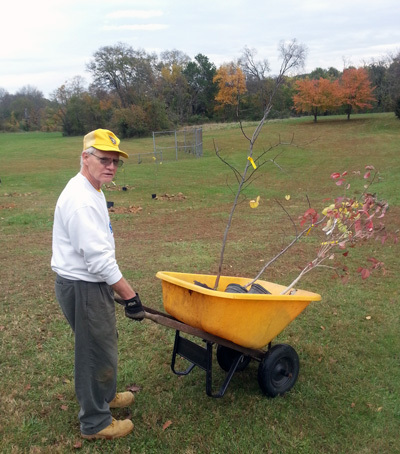 The trees – redbuds, flowering dogwoods, and serviceberries – will provide habitat and food for wildlife, block the view of neighboring facilities, and add aesthetic value to the park. 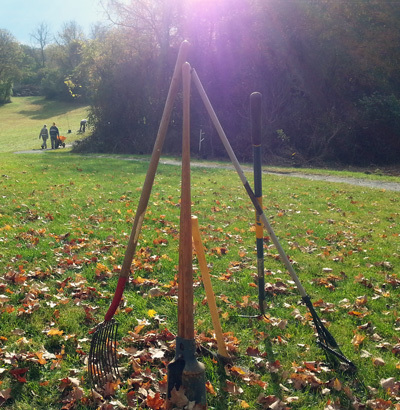 15 students and 4 teachers from Shepherdstown Middle School volunteered to help with the project. 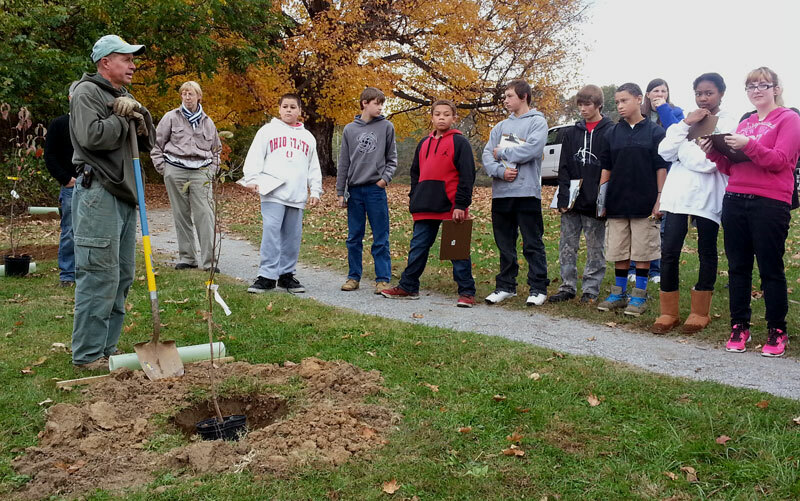 The students, in addition to learning about the benefits of trees and planting trees, also took data measurements on the trees for a school assignment. 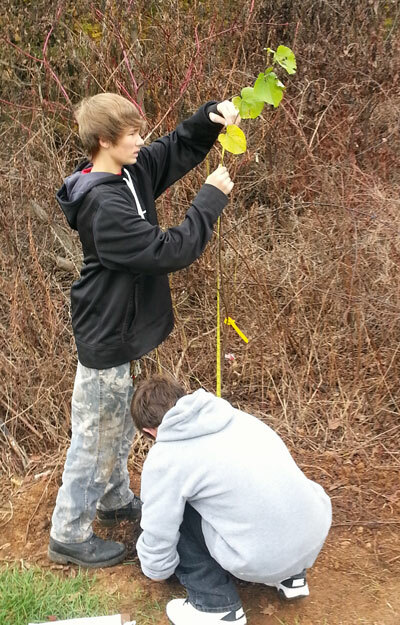 They measured the height of the trees, species, DBH, and location. 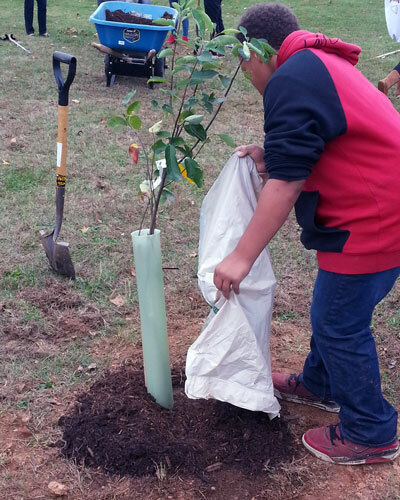 They plan on bringing the students back in the future to look at how the trees have grown over time. 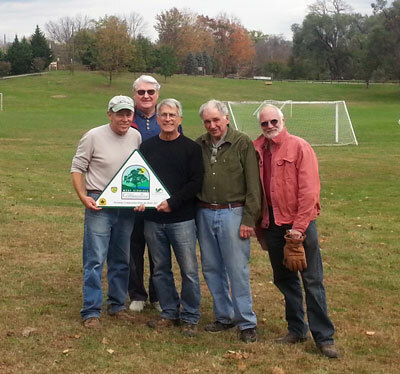 The tree planting was a featured story in the October 25th issue of the Shepherdstown Chronicle, a local newspaper.